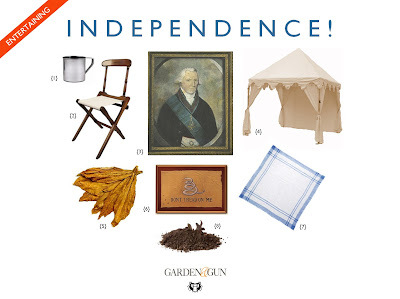 For this month's Garden & Gun post, I thought it would be fun to plan a little 4th of July party in the spirit of the fight - not just the victory - of our revolution. 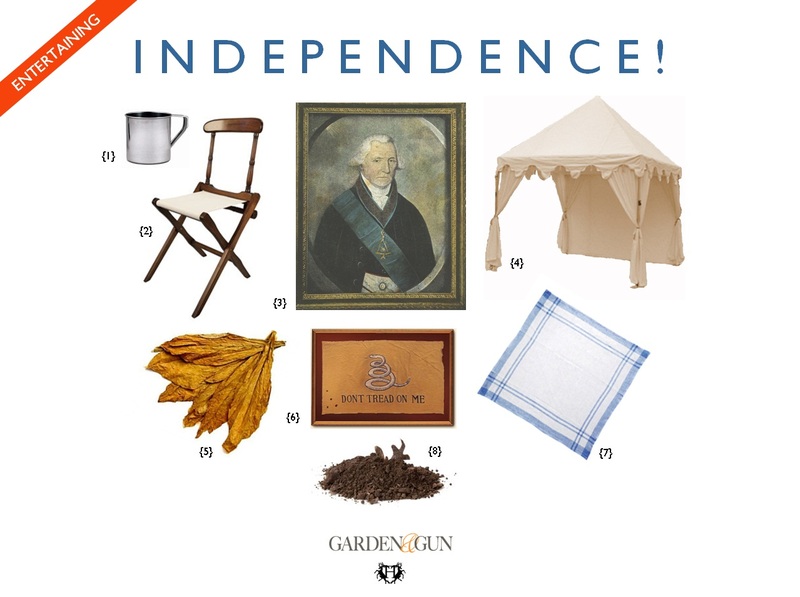 So, based on the scene they cooked up at the Smithsonian, I suggest throwing a party like George W. might have on the front for July 4, 2012 (because I'm posting this on July 5, 2011). Click here for the details!